Meditation changes everything! Medical and scientific communities are finding what practitioners have realized for thousands of years - meditation leads us in the direction of greater well-being. Improved health, better relationships, and increased happiness are just some of the benefits of meditation. Meditation brings consciousness forward in your life and throughout your day in the form of awareness. Spirit Fire developed the Practice of Living Awareness to assist you in accessing that awareness and sustaining it. The Practice of Living Awareness is a 14-step guided meditation program designed for every level of practitioner. The practice is online and always free. Each step is simple and builds upon the one before. We offer new twenty-minute guided meditations three days per week, and each new week explores a new step of the practice. That's 14 steps in 14 weeks... or 14 meditative tools to use on and off of the cushion. As each 14-step "round" comes to a completion, we take a short break and then start again from the beginning. Because our meditations are recorded in present time, each meditation within each round is new. Every round integrates beautifully with the last, in the same way that every step builds upon the one before. 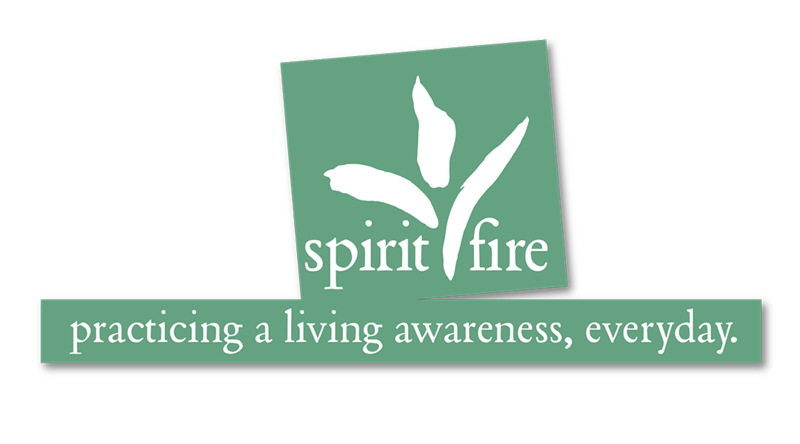 The Practice of Living Awareness, Spirit Fire's own meditation practice, is brought to you free and online and supports your daily meditation practice. It is a habitual practice for many, allowing them to align and bring consciousness into their day. We offer new meditations in "rounds" which happen three times a year. A "round" of our online meditation lasts 14 weeks... each week we will cover a new step with three, 20-minute guided meditations: Monday's meditation introduces the step, Wednesday's meditation explores the step further, and on Friday we will meditate on ways to apply the step to everyday life. The meditations are posted on the living awareness blog every Monday, Wednesday, and Friday at 6 am ET. 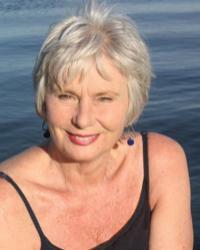 Join Carol Martin for Saturday morning explorations in meditation with a focus on the breath. Meditation is a foray into the relationship you have with your mind and your breath. Think about these two aspects of your self. Your breath gives you “life”. Your mind gives you a tool to use to navigate your “life”. How does meditation affect your breath and your mind? Meditation is simply the best way to help your energy come into better balance, harmony and flow. This is the underlying value of meditation. We are energy. Our life is an expression of our energy. How balanced, flowing and coordinated our energies are impacts our “expression” which becomes apparent in how we do and how we are in the world. Look for a new Saturday morning meditation on breathe each week. Follow the Living Awareness blog to have it delivered to your inbox! Spirit Fire offers Living Awareness Meditation Retreats each year. In January, we begin the year meditatively with participants setting their energetic intention for the upcoming year. In March, we introduce the practice and explore all fourteen steps through teachings and meditation. In June and July , we offer a silent Living Awareness retreat focused on mindfulness, presence, and nature. And then in October, we go deeper into the practice with retreat focused on the meditation sittings themselves. Each step holds a unique place within the practice and provides specific benefits. Together, these steps provide the basis for a comprehensive meditation practice. Follow the Living Awareness blog to have fresh meditations delivered to you via email. Each meditation from the practice is posted and allows you to follow the meditations, reflect on the days step, re-play a favorite meditation, or see what fellow practitioners are experiencing. Search for a meditation by program, date, step, or topic and listen at your convenience. And sure to follow the blog to have new meditations delivered to your inbox. Would you like to meditate now? We have highlighted past meditations that provide a sampling of The Practice of Living Awareness. ​Attend a Living Awareness Retreat. We have retreats for every practitioner and any practice. ​Each week we take spiritual concepts and discuss how they can aid us in purposeful living.